Good news, the latest generation of All-New Mitsubishi Pajero Sport will be present in Indonesia in the near future. SUV which is a favorite of the public in this country has been long awaited new version. Obviously, this new generation is expected to bring a significant change, as quoted from Antara (10/1). 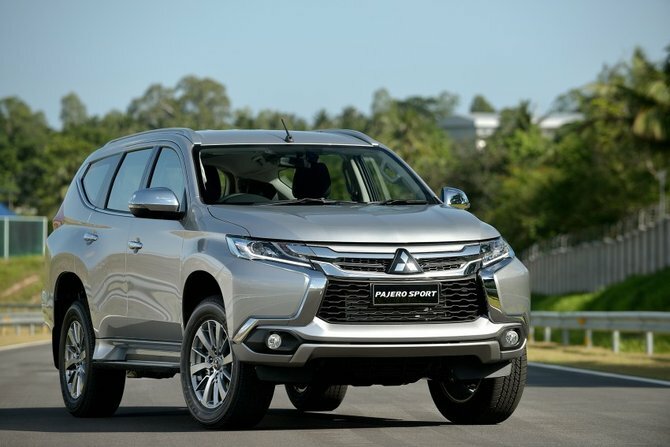 If you're curious, here's a manifestation of the all-new Pajero Sport will be present in Indonesia. SUV which will be a tough competitor All New Toyota Fortuner it brings a more modern design with scratch and dent body more subtle and harmonious, with major changes in the snout is also on the back. All New Pajero Sport Grille made as one with the part where the front emblem "Three Diamonds" is - without any separation "bone" bumper - as in the previous Pajero Sport. Bumper ends of the right and left edges grille deliberately highlighted by adding a silver shiny chrome. Headlights appear more narrow, aligned and fused, with the upper grille emblem where Mitsubishi is located. At the rear, side body All New Pajero Sport comes more convex, while the taillights are designed extending to almost parallel to the tip of the trunk. From the side, the rear lights tapering not appear to form a triangular quarter circle as had its predecessor. Not only the exterior, the interior side of too much gain enhancement, dashboard and floor console, then trim the inner door. All New Pajero Sport equipped with a new engine capable of producing 181 PS maximum power, higher than the 32PS engine 2GD Toyota Fortuner. 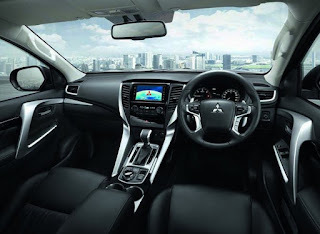 0 Response to "All New Mitsubishi Pajero Sport soon landed in Indonesia"